Isaac just demoed a great peice of software for the mac or PC called Boxee. 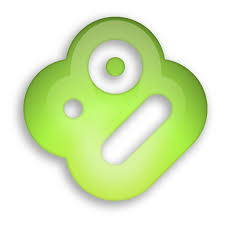 Boxee is loaded on your computer and plays online video from hundreds of sources including videos from your local hard drive, hulu, youtube, and digg. Simply hook your computer up to your TV and watch these shows and click through options and menus with your remote. Best of all its an open source project so downloading is free and you are able to improve the product or add your own video modukes as you please. Since Boxee allows you to login to your favorite social networks you can see what friends are watching while you watch and more. The bads: since it’s open source and downloaded software when a web site that boxee pulls from is changed those interfaces in Boxee fail as well until you download a newer build. Its a great tool and relly merges computer with tv experience, definitly a project that has been needed for a long time and meant for the open soure community.